SpaceX and The Boring Company CEO, Elon Musk has for the first time revealed his concept for a personalised mass transit system or "Loop" that will carry 16 people and travel at 240 km per hour for a fare of just $1. 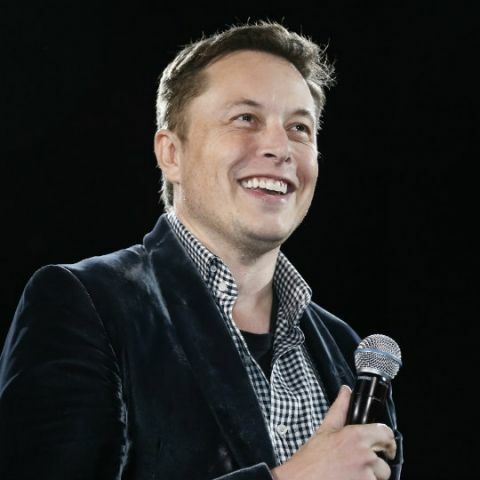 In a rare public appearance here late on Thursday, the Tesla founder also unveiled the project details, including 2.7 miles of tunnel that will run north to south parallel to the 405 freeway in Los Angeles, CNET reported. Musk, however, did not provide a time-line for his project that could get people from downtown to Los Angeles International Airport in eight minutes in a vacuum tube. Musk "envisions dozens to hundreds of small stations, about the size of a single or double car parking spot, to alleviate traffic at any one spot". Musk was joined by The Boring Company director Steve Davis. "It's the only way we can think of to address the chronic traffic issues in major cities," Musk said. These tunnels were not yet part of his cross-country "Hyperloop" system, which would ferry people in tubes travelling at airline speeds at a much lower cost. "Excited for @boringcompany partnership with LA Metro," Musk later tweeted. Are Space X & Elon Musk bound to conquer space? LA Metro is the Los Angeles County Metropolitan Transportation Authority, an agency that operates public transportation for the County of Los Angeles. According to the city, the proposed tunnel would begin with the entry/exit point at 2352-6 Sepulveda Boulevard, north of West Pico Boulevard, in West Los Angeles. Earlier, Musk hinted that he plans to link the hyperloop project under his start-up The Boring Company with SpaceX's rockets to create a transportation system that may ferry people anywhere on Earth in less than an hour. The Boring Company is an infrastructure and tunnel construction company founded by Musk in late 2016. Musk's aviation company SpaceX has got approval from the City of Los Angeles to build The Big Falcon Rocket, or BFR, which will be used to explore Mars -- a goal that Musk hopes to accomplish by 2022. Why Blackberry 10 OS is at number 1 according to Digit News ? Which one is better VLC or KM-PLAYER? In which phone gta vice city will play?